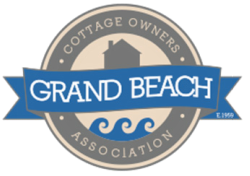 What does a Grand Beach Cottage Owners' Association membership do? night, come watch our movies Thursday nights and participate in in a variety of other events around Grand Beach! Where can I get a membership? GBCOA memberships are available at the community club during all community events starting every July 1st, our Canada carnival! Single membership: good for one person for all events for the entire summer. Cabin membership: good for up to five people and include extended families and/or renters. If you have any questions or concerns please contact us on our contact page. Memberships are required to participate in club events.